A lot of work goes into the production of a play, from the costumes and set design to the actors performing. Even the smallest details matter. With this work, there can be a lot of pressure resting on the shoulders of both the actors and the director when it is opening night and you have all of those eager eyes in the audience waiting to see how your hard work is going to pay off. Now imagine if the playwright of the play in which you are performing was sitting in the audience. This pressure was nothing new for Mary Joris. This veteran director has been directing plays for the Shreveport Little Theatre (SLT) for quite some time. So directing “A Southern Exposure” knowing the playwright, Kelley Kingston, would be present was a challenge she took on without hesitation. Now the fruits of her labor can be seen at SLT on Oct. 25, 26, 27 and Nov. 2, 3 at 7:30 p.m., As well as on Oct. 28 and Nov. 4 at 2 p.m. 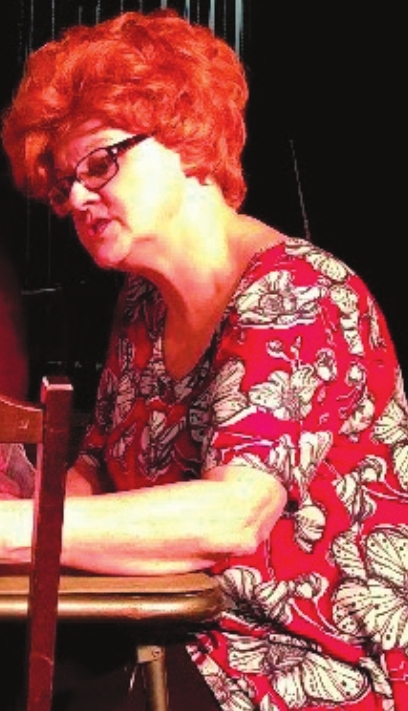 The play will star Debbie Posey as Aunt Mattie, B.J. Pritchard as Grandmother Hattie, Kim A. Price as Aunt Ida and Brittainy Williams as Callie Belle Hurt. “A Southern Exposure” is the first and only play that Kelley Kingston has written so far. It is a true story based on her family growing up in Texas. The play doesn’t reveal great truths about the human condition, but little truths about extraordinary women in ordinary circumstances. 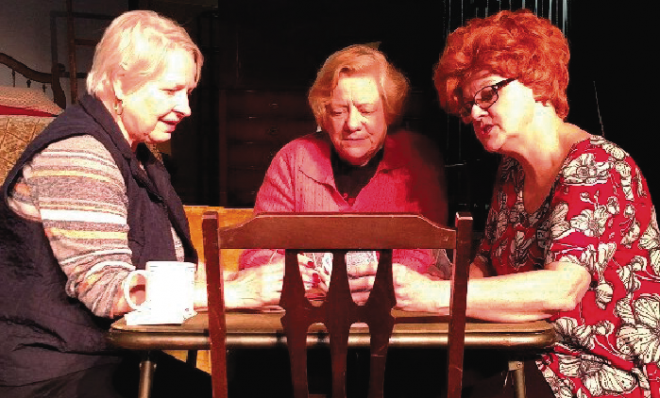 It follows four characters – the granddaughter, the grandmother and two great aunts. Joris says she was drawn to this play because of how beautifully written the script was. In 2013, “A Southern Exposure” premiered at the Tony Award-winning Barter Theatre main stage in Abingdon, Va. It was a play that Kingston didn’t expect to write, but after her grandmother passed away, she was inspired to tell her story. She completed the original draft in three weeks, but then spent the next three years editing it. Kingston took care of her grandmother for five years before her passing. She says it was a lot of responsibility, but it made her grow up fast. “It was the hardest thing I’ve ever done, but it was also the greatest blessing of my life,” Kingston said. She hopes the play pays tribute to her close bond with her grandmother, and she says may God forgive her if it doesn’t. “This (play) really sums up my relationship with my grandmother,” Kingston said. After its debut at the Barter Theatre, the play was picked up by many other theatres in the United States. Kingston has been humbled by its success, and she says it’s all because of her family. This year, it was picked up by the Shreveport Little Theatre. Kingston came to Shreveport to workshop the play with the cast and crew. Posey, an actress in the play, says it was an amazing experience to be able to work with the playwright. “Just being able to talk to the playwright while preparing for a production is awesome, but we are also able to relate with her during the whole process,” Posey said. All the women in this production have become a tight-knit family just like their characters. In July, Joris and the cast loaded up in the car and took a road trip to Dallas to meet up with Kingston. Posey had the chance to ask questions about her character and Kingston showed them pictures of her family. “It has been really fun. There is not enough fun in theatre,” Joris said. Joris wanted her cast to really take advantage of the fact that they got to work with the playwright, which she says is actually very rare. She made sure to really pay attention to the details. Kingston says they even asked her what her childhood home’s house number was so they could incorporate it into the set design. For the opening night’s reception, SLT is having Southern Faire cook up some of the southern dishes mentioned in the play, and they are also including some of the recipes in the play’s program. “The attention to detail is shocking to me … they’ve all worked so hard,” Kingston said. All in all, the real goal for Joris is to create an experience where the audience can walk away feeling something. Kingston has really enjoyed being involved with this production. She has been very impressed with Joris and the rest of the cast. “I hope Shreveport knows what a little gem they have in that theatre. I was stunned. Among playwrights, Shreveport Little Theatre has a sterling reputation,” Kingston said. Joris believes this story has a little something for everyone. If you want to see “A Southern Exposure,” you can purchase tickets at shreveportlittletheatre.com or by calling (318) 424-4439.